This HR health check has been designed to identify the main areas and actions you will need to focus on to improve your existing HR situation. Employment law can be complex and ever changing, keeping up to date can be a time consuming task. Quest provide regular updates and all packages provide access to our team of advisors. You don’t have to employ one person on a full time basis to look after your health & safety. Many employers are choosing to leave it to the experts. This Health and Safety Health Check has been designed to help you identify the areas where your business may need assistance and for us to assist in providing the best advice and guidance to your organisation. Quest Office is a revolutionary Software Platform which will help to support your business. 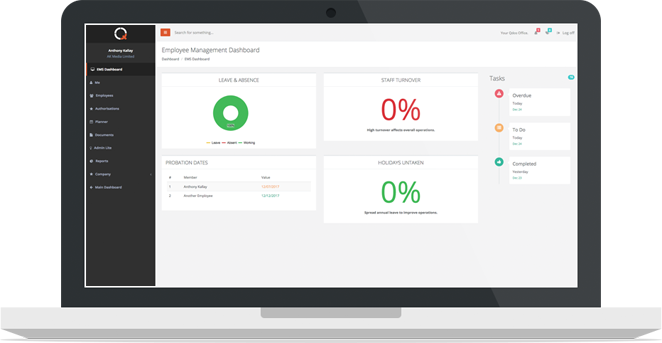 See how we make HR and Health and Safety simple for you with our innovative tools enabling you to focus on other things. Never be stressed about HR and Health and Safety again. There are times when businesses need further help and support from the experts in order to focus on a particular aspect of HR. For example you may be going through a restructure or redundancy and therefore require HR consultants to guide the process or indeed to carry out the process on your behalf. There are times when businesses need further help and support from the experts in order to focus on a particular aspect of Health & Safety. Purchased on a full day or half day basis, Health and Safety Consultancy services can be used for a variety of reasons. Quest, based in Leicestershire, but covering the whole of the UK, is a specialist provider of HR, Health and Safety services and training solutions, delivering bespoke professional services with resounding results. With over two decades of experience, Quest make it their responsibility to fully understand your specific needs before personalising a tailored solution to ensure that your HR, Health and Safety and training solution complements your business plan and achieves your goals.